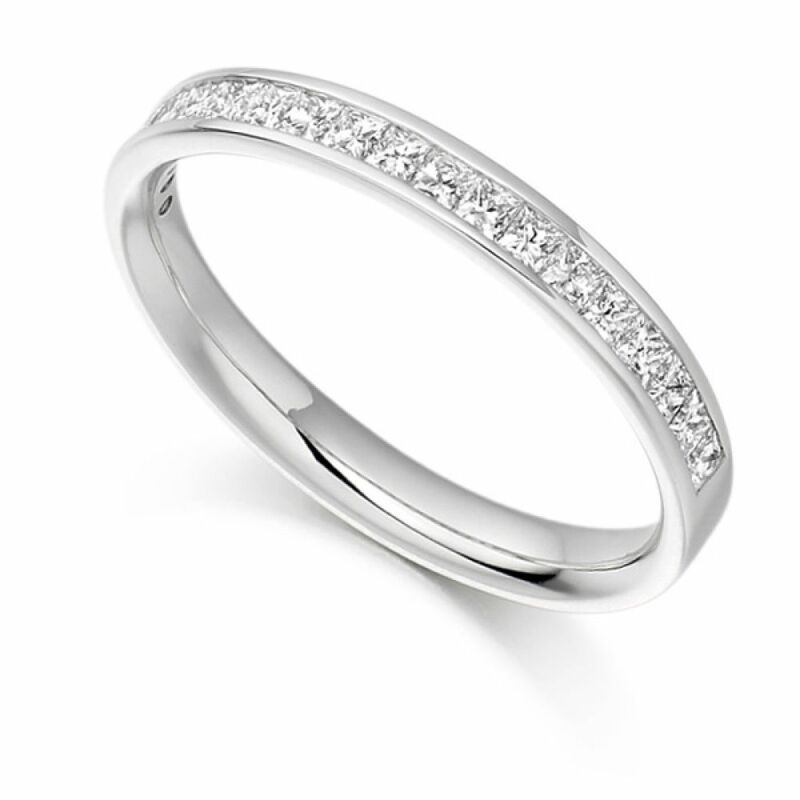 Half diamond set princess cut eternity ring, with 0.50cts of princess cut diamonds across a 2.65mm wide band. Graceful and comfortable to wear, this half Eternity Ring dazzles with Princess Cut Diamonds set along the 2.65mm width band. This channel set half Eternity Ring is glamorous yet understated and is a perfect addition to your Engagement Ring. The total Diamond weight within this design is 0.50 carats, each one supplied in an F Colour VS1 Clarity. We can create this half Eternity Ring in a wide range of precious metals including 18ct Yellow Gold, 18ct White Gold, 18ct Rose Gold, 950 Platinum or 950 Palladium. With Serendipity Diamonds unfaltering attention to detail, you can be assured of the perfect ring to add to your collection. Please allow 4 weeks for us to create your ring in your desired precious metal, and it will be delivered straight to your door by a secure courier, presented in our own Serendipity Diamonds packaging. Service rating : This is the 4th item I've purchased from serendipity diamonds. Always excellent service from start to finish, responding quickly to any questions or queries. The quality and prices beat anything you will find on the high street.